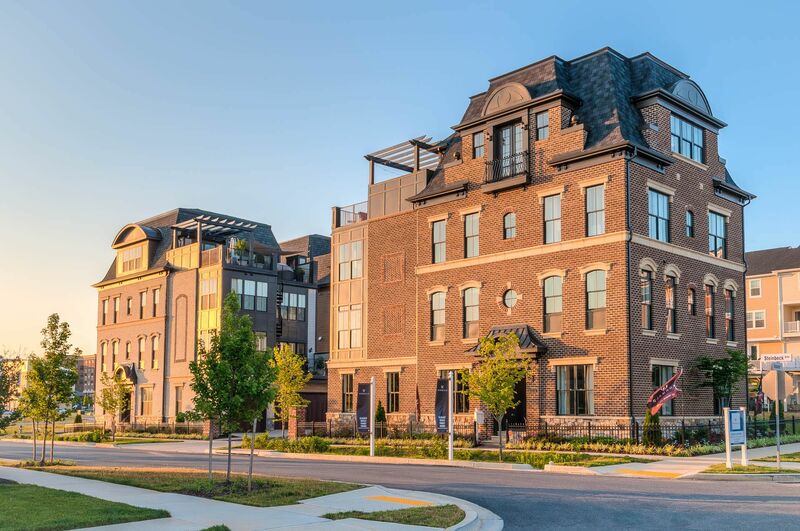 In the heart of Montgomery County, at the crossroads of I-270 and I-370, is an urban village of the most fashionable new single-family homes available in the D.C. area. The City Home Collection sits on the edge of a park and wooded trails and is within walking distance of The Retreat clubhouse and pools, as well as a market, fitness center, boutiques and upscale dining, including Ruth's Chris Steak House, Old Town Pour House, Ted's Bulletin, Asia Nine, Chop't, Coastal Flats, and Starbucks. Available lifestyle amenities: Three-car garages (per plan); elevators, penthouse lofts; Viking appliances; 10 ft. ceilings; modern island kitchens open to great room, sunroom, and grand terrace; owner's retreat; rooftop living terraces like never seen before; 3 to 5 bedrooms; 2.5 to 4.5 baths; The Wormald Lock and Go Lifestyle Yard Maintenance Program, never shovel snow again, or cut grass.